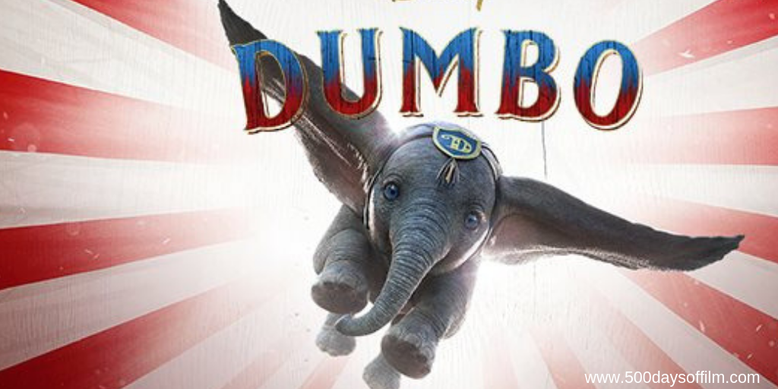 When struggling circus owner, Max Medici (Danny Devito), realises his newborn baby elephant, Dumbo, can fly he see an opportunity to bring huge audiences into his big tent once again. However, the little elephant's magical ability draws the attention of V.A. Vandevere (Michael Keaton), an entrepreneur who wants to showcase Dumbo in his latest, larger-than-life entertainment venture. Tim Burton is a master of spectacle and there is certainly plenty of spectacle in his retelling of Dumbo, the elephant who could fly. His (largely politically correct) circus is wonderful - full of life and colour - and his evocation of V.A. Vandevere’s Dreamland is suitably grotesque. Meanwhile, the film’s story is admirable - a tale of overcoming grief and loss (the film has many dark moments) and a celebration of being brave enough to embrace what makes you different. However, Dumbo does also feel contrived and rather over familiar. Family good. Greed bad. Independent entertainment - good. Big Disney-esque corporate entertainment - bad (I’m still not sure how Burton got away with this). Dumbo himself is, as you might well expect, extremely cute. I was impressed by the expression in his eyes, which almost made up for the fact that the CGI was really ropey in certain scenes (mostly those involving flight). Overall, I enjoyed Dumbo. However, I did find the film lacking, despite all the bigs sets and spectacle. Characters remained underdeveloped (criminal when you consider the potential of this cast) and, as a result, it was hard to connect with the story on any deep emotional level. Dumbo I am looking forward to seeing this one . Looks so .